Jesse Arreguín, mayor of Berkeley, Calif. Ever since Jesse Arreguín learned Sutter Health was considering closing its Berkeley hospital ahead of a 2030 deadline to meet California's seismic standards, the city's mayor has led a campaign to save the hospital. 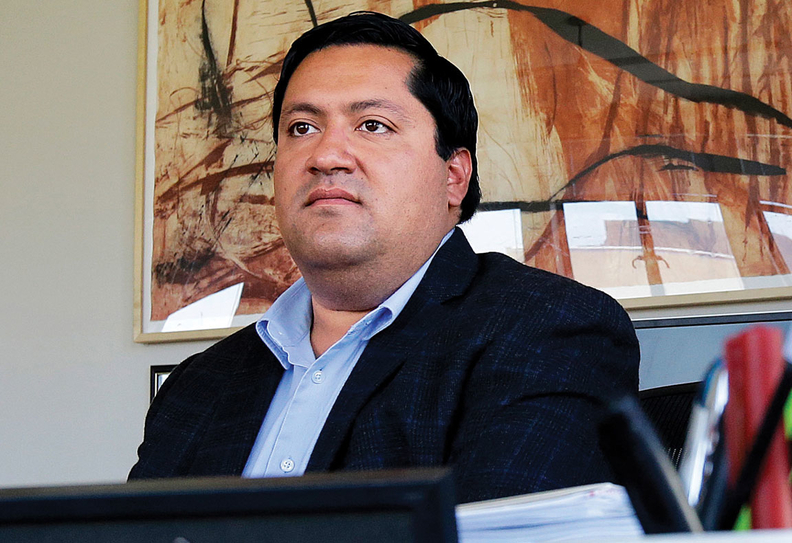 The ordeal has raised a bigger question in Arreguín's mind: Is it time to rethink whether the massive, not-for-profit Northern California health system deserves its tax-exempt status? He asked Sutter for specific information on its community benefit spending in Berkeley, but said neither he nor the city council has gotten an answer. There's no denying the widespread, tangible effects Sutter's health improvement work has on the communities it serves. The 24-hospital Sacramento, Calif.-based health system funds respite facilities for homeless patients discharged from hospitals. It supports free clinics, health education programs and food banks. But Sutter's quest to grow its position in Northern California's consolidated market and cut costs has ignited bitter disputes in some areas, where concerns about transparency, prices and governance have prompted elected officials like Arreguín and others to question whether the not-for-profit health system spends enough on community benefits to justify its tax-exempt status. It's virtually impossible to learn how Sutter arrives at the community benefit spending figures it reports each year, a situation that underscores how pieced-together and full of holes the community benefit reporting process is overall. A Sutter spokeswoman declined to break down its spending on broader community benefits—health services, screenings, free clinics, training health professionals and research—beyond the $124 million Sutter reported having spent last year. The health system files roughly 30 different 990 tax forms—the documents where it reports such spending to the federal government—but adding up the community benefit expenses from the tax forms does not equal the numbers in its annual reports. Of Sutter's total $612 million in community benefit in 2017, $334 million was a noncash expense, the estimated cost of unreimbursed Medicaid program care, and just $65 million was attributed to the cost of charity care. Years of working for Sutter, including a stint as a hospital director, have taught Dr. Greg Duncan, chief of surgery at Sutter Coast Hospital in Crescent City, not to accept the health system's numbers at face value. “The first thing we have to know is whether the numbers are accurate, and with Sutter we don't know that,” he said . Policymakers, researchers and advocates have in recent years emphasized what they say is hospitals' increasingly vital role in improving the broader health of the populations they serve, a role that extends beyond providing healthcare services to housing, nutritious food and education. The amounts Sutter reports having spent on such initiatives has fallen slightly as a ratio of expenses in the past two years, even as it says it has saved hundreds of millions of dollars during that time on unreimbursed Medicaid care. “It just begs the question: If you're not spending it on the community, what are you spending it on?” said Anthony Galace, health equity director for the Greenlining Institute, an Oakland, Calif.-based not-for-profit organization dedicated to racial and economic justice. Still, in Lake County, which has the worst overall health outcomes in the state, according to County Health Rankings, health advocates say Sutter has in recent years taken a more active role in assessing the issues and helping where needed. “You can usually count on Sutter for some sort of support,” said Lisa Morrow, executive director of the Lake Family Resource Center, a not-for-profit organization that provides a variety of health and social services. Patty Bruder, executive director of North Coast Opportunities, a not-for-profit group that advocates for low-income and disadvantaged individuals in Lake County and beyond, said Sutter has taken an active role in working with homeless individuals and high healthcare users. Sutter's reputation in some communities has been clouded by a perceived lack of transparency as it consolidates governance across hospitals and contemplates closing facilities to avoid costly upgrades. And the health system has spent more than a decade fighting lawsuits alleging it overcharges for services. California Attorney General Xavier Becerra sued Sutter in March alleging its “all or nothing” approach to contracting with insurers is anticompetitive and drives up prices. In Crescent City, elected officials and residents have sparred with Sutter for years over what they say are exorbitant charges at Sutter Coast Hospital relative to nearby hospitals. To that end, the local healthcare district board has been trying unsuccessfully for months to hold regular meetings with the hospital's board. The district board also hasn't gotten financial data it requested from Sutter. A Sutter spokeswoman said there were system representatives at every district board meeting and that the two groups are in regular communication. Duncan said Crescent City's trouble with Sutter really started back in 2013 when the system tried to convert Sutter Coast Hospital into a critical-access hospital, a move that would have bumped up its Medicare revenue, but cut its bed count from 49 to 25. Community members protested the change, which Duncan said would have resulted in more than 250 additional patients being transferred each year, and Sutter backed down. Sutter's reported $612 million in overall community benefits in 2017 was 5.1% of its expenses, which is on par with what some research has found to be average spending among not-for-profit health systems. Even as Sutter's reported unreimbursed Medicaid care plummeted by 113% from 2015 to 2017, the health system's spending ratio on broader community benefits declined slightly from 1.2% of expenses in 2015, to 1% in 2017. Meanwhile, the $124 million Sutter spent on broader community benefits last year was dwarfed by the health system's net income: $958 million. The Service Employees International Union's California chapter studies hospitals' community benefit spending statewide, and officials there have also noticed a lack of disclosure by Sutter. That's unlike other health systems, which happily send detailed lists of activities, right down to loaning their community room to an Alcoholics Anonymous meeting, said David Miller, SEIU-UHW's research director. A Sutter spokeswoman said the system is committed to transparency and invited SEIU to access audited financials and other supporting documents. The Greenlining Institute has worked closely with Kaiser Permanente to help it better understand health needs in its communities. Sutter hasn't shown interest in having those conversations, despite repeated attempts at communication, Galace said. “For a health system to be nonresponsive to those questions is, I think, concerning, and it's incredibly frustrating,” he said. A Sutter spokeswoman said the system has worked with Greenlining to host community focus groups to ensure residents' voices are included in a collaborative needs assessment process. The news that Sutter was considering closing its Berkeley hospital came as a shock to locals, especially since the health system had pledged to keep Alta Bates Summit Medical Center's Berkeley campus open following its 1999 merger. When Sutter's Alta Bates campus in Oakland merged with the hospital in Berkeley, Sutter assuaged locals' fears that it would ultimately close the Berkeley hospital by promising to not only keep it open, but spend $450 million on capital improvements over 10 years, he said. It's unclear whether that happened, Arreguín said. Another unanswered question is whether Sutter will continue its community benefit programming in Berkeley if the hospital closes, Galace said. Sutter hasn't yet decided the Berkeley hospital's fate, a spokeswoman said. 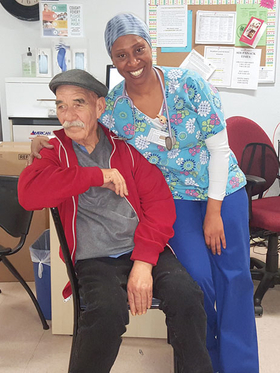 Although the amount Sutter spends on community benefit in the San Francisco Bay Area is unclear, the health system's long-standing health improvement programs are deeply rooted, including the Ethnic Health Institute within Sutter's Samuel Merritt University. It's an outreach group that offers free health services for the area's African-American, Asian-American and Latino communities with a specific focus on hypertension, asthma, diabetes and cancer. Sutter also partners with a San Francisco-based not-for-profit organization called Operation Access, which connects low-income patients who get primary care from community clinics with free surgical and specialty services from providers like Sutter. Over the past 12 months, Sutter provided 458 people with donated care through its Operation Access partnership, said Jason Beers, the organization's CEO. Sutter provides about 35% of the care that's donated through the program, he said. Sutter records those services as charity care. Dr. David Ellison, of Sutter's Palo Alto Medical Foundation, with Jose, a patient who received treatment through the Operation Access program. “Sutter Health has been an excellent partner in terms of completely donating the care,” Beers said. Holly Harper, director of external affairs for Sutter's Valley Area, said Sutter's community benefit spending is driven by information gleaned during its community health needs assessments, which the Affordable Care Act requires not-for-profit hospitals to perform every three years. Sutter gathers input from focus groups made up of community members in the areas it serves, she said. Providers who treat hospitalized homeless patients are often leery of discharging them back to the streets. Realizing the need, Sacramento-based community health center operator WellSpace Health in 2005 began providing temporary respite, medical care and case management for those patients. “We're doing everything we can during that time of recuperation to get them engaged and back into the community and trying to get them housed versus them being in a hospital,” WellSpace CEO Jonathan Porteus said. Currently, WellSpace operates two such units, one funded entirely by Sutter. The other is supported by a group of health systems, including Sutter, Kaiser Permanente, Dignity Health and the UC Davis Medical Center. A formerly homeless WellSpace patient sits with a staff member. WellSpace was able to place the patient in an assisted-living facility. Patients stay in the program an average of 19 days recovering and receiving follow-up medical care from a team of nurses who treat wounds, sepsis, cardiopulmonary issues and other conditions. In the meantime, WellSpace's team connects them with primary care, addiction treatment services and housing vouchers. In some cases, not-for-profit health systems' community benefit programs in turn benefit the health systems themselves. That appears to be the case with the WellSpace relationship. Before WellSpace's respite program, hospitals were at much higher risk of costly readmission penalties on those patients, Porteus said. WellSpace also runs a network of health centers strategically located near hospitals, including Sutter's. As a federally qualified community health center, its main focus is providing primary and specialty care to underserved patients, especially those on Medi-Cal, California's Medicaid program. 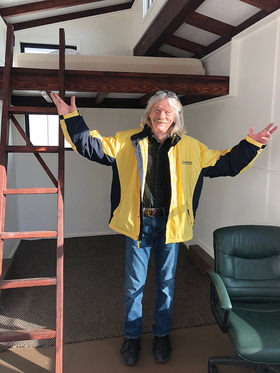 A former patient of WellSpace's respite care program for homeless individuals stands inside his tiny house, which he purchased with the help of WellSpace case managers. Sutter Health provides financial support for WellSpace's programs. Before WellSpace, Porteus said the hospitals took on a “massively unfair proportion” of primary-care Medi-Cal patients. “Historically we didn't really have many community health centers in the community, so the hospitals took on a lot of it,” he said. Last year, Sutter announced 10,000 of its Medi-Cal patients in Placer and Sacramento counties would transfer to WellSpace and another community health center for their primary care. At the time, a Sutter official told the Sacramento Bee that the health centers were better equipped to handle services like behavioral health and dental care. A priority area highlighted in Placer County's current community health improvement plan is increasing the number of primary-care providers who accept Medi-Cal patients. Dr. Robert Oldham, Placer County's public health officer, said while community health centers typically end up taking most of those patients, it would be good to see Sutter take on more, too. Further, Oldham said, Sutter is an integrated network of hospitals and physicians. Having Medi-Cal patients receive both primary, specialty and hospital care through a single provider “really benefits those patients,” he said. Oldham himself is among the patients who receive primary care at a community health center, which can make getting specialty care elsewhere complicated. “It takes a little bit more care coordination to bridge that gap,” he said.